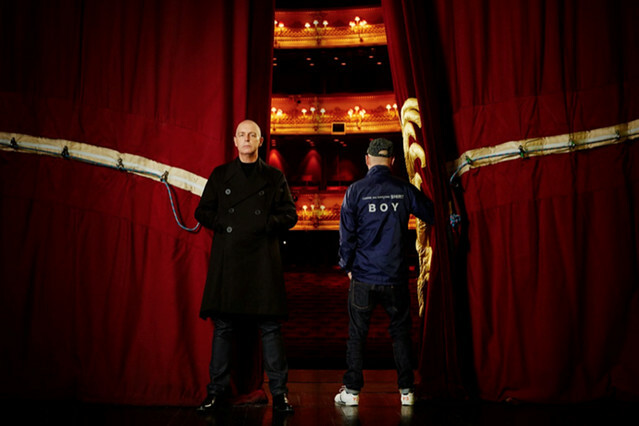 Pet Shop Boys will perform four dates at the Royal Opera House in July 2016. The 'Inner Sanctum' series of concerts will follow the release of a new album, SUPER, on 1 April. The show will be staged by designer Es Devlin - who has worked extensively with both Pet Shop Boys and The Royal Opera - and choreographer Lynne Page. 'Inner Sanctum' runs 20-23 July 2016. Tickets are now available. Can anyone tell me if the 4 day concerts in July at the Royal Opera House will be the same concert repeated throughout the 4 days or a different concert each day? This is not clearly explained and should be explained. We don't have details of set-lists yet, but it's likely that the four shows will be broadly similar in regards to which songs are performed. The staging itself (designs/choreography) will be the same across the four dates. Are children permitted as per the venue policies ? Thanks. There is no minimum age limit for these performances, so children are welcome. Can't wait booked tickets for this for 23rd July!. They are bloody brilliant!. I sadly missed out on the tickets. Do you know if there will be any other dates added or the possibility to buy returns? I'd recommend keeping an eye on our website for returns as I'm afraid it's unlikely any further dates will be added. It is disappointing that Friends were not given the opportunity to purchase tickets before general release but even if not given that opportunity, perhaps could have received an email advising when tthe tickets would be released. Sorry to disappoint you. Regarding the release of the tickets, they went on sale as soon as the performances were announced. This was flagged extensively on our website, social media and international press. I'd recommend keeping an eye out for returns on our website. It may have been flagged on the website and via social media but It would have been nice if ROH had sent an email to its subscribers to let us know these concerts were coming, as this is how many of us keep tabs on what's happening. I receive plentiful emails and mail shots about individual productions but had nothing in at all, in any form, about the PSB residency. It's a sin! I am sorry that you were unable to purchase a ticket for one of the Pet Shop Boys: Inner Sanctum performances. The Pet Shop Boys handled the selling of these dates and sent out information through their mailing list. can you tell me the running time of the concert. I want to know what time it ends. this info is not on your site for some reason.